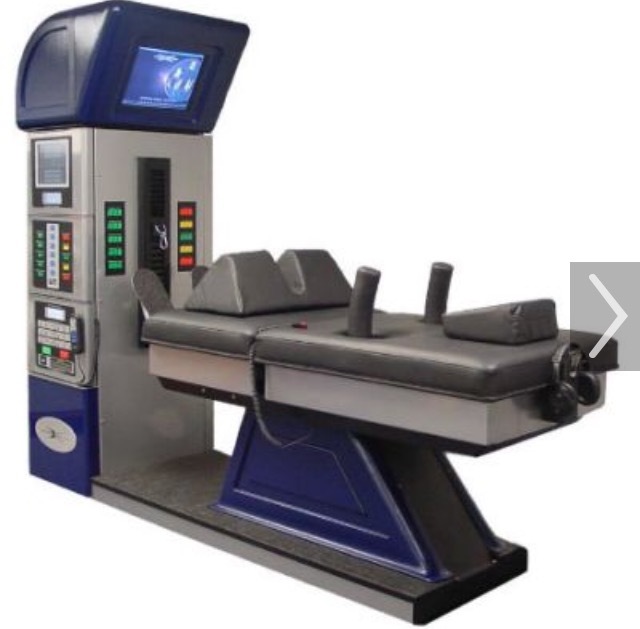 Spinal Decompression Non-Surgical! Back Pain Relief. Neck Pain Relief. Take Hold of Your Life Again! Non-Invasive...Non-Surgical...Back Pain Relief...Neck Pain Relief. Following each therapy session, a cold pack and/or electrical stimulation is applied to help restore muscle tone. The discs in your spine act as shock absorbers. Herniation or "bulging" of the discs may occur due to wear and tear. This one of the most common causes of lower back pain. Disc degeneration can occur when the spongy disc dries out. Over time or with injury, discs may dry out, tear and put pressure on the nerves. The result is muscle tension and back pain. Neck pain may result from abnormalities in the soft tissues (the muscles, ligaments and discs) as well as in the bones and joints of the spine. Neck pain may result from degenerative and inflammatory diseases including osteoarthritis. Cervical disc degeneration can also cause neck pain. The disc acts as a shock absorber between the bones in the neck. As the disc space narrows, added stress is applied to the joints of the spine causing further wear and degenerative disease.